The Arc of Attrition 2018 lived up to its name this year with 52 finishers from 145 starters. The 100+ mile race started in Coverack and finished in Porthtowan at midnight on Saturday Feb. 10th. 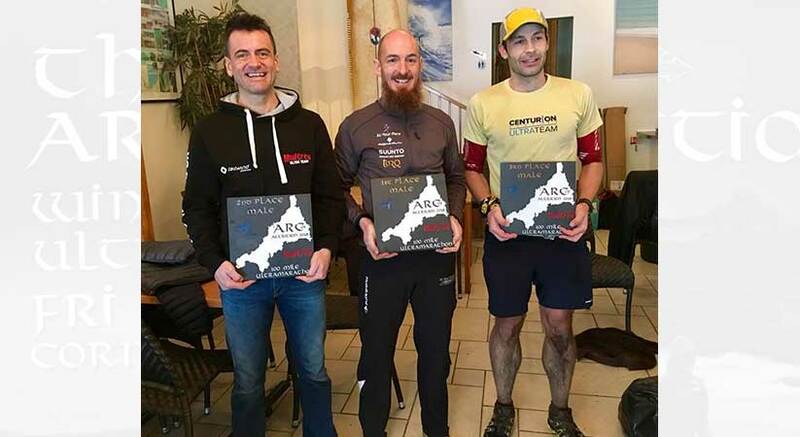 A slightly longer version with detours due to weather damage to the South West Coastal Path and muddy conditions meant the winners only just squeezed under the 24 hour mark. Last years joint winners were just a few seconds apart this year with Steven Wyatt crossing first ahead of Paul Maskell. Drew Sheffield took third place. In the women’s race Maryann Devally won for the second year in a row with Gemma Pateman crossing second. Third woman home was Amy Blackburn. Five women finishers.